WOW... 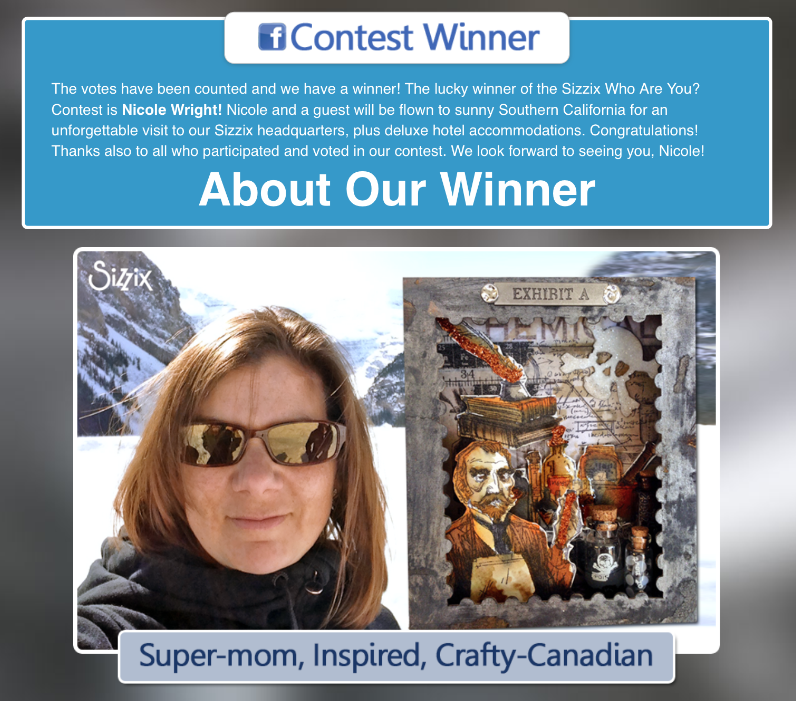 In case you missed it the Sizzix "Who Are You" Contest has chosen their winner. All your votes counted! I wanted to say a quick THANK YOU for all the support and encouragement. Just to have been picked by Sizzix as a finalist already made me feel like a winner. I am humbled by all your support, votes and the level of talent the other finalist shared. I look forward to ongoing learning and sharing with you crafty fun! Watch for my adventures in California as this Canadian is heading South! You go Girl! Canadian Talent hits the US...an honour well deserved!!!!! Congrats Nicole. So glad you won. It was fun voting every day. UH.... HELLO!?! Where's my celebratory corndog???? ;) Congrats!!! Congratulations Nicole! Have fun in California!